Guy Burwell, The Decemberists at Trent University - Nottingham, UK with Lavender Diamond. 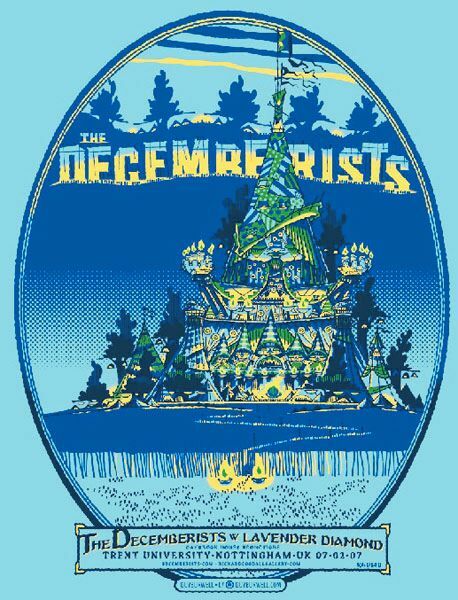 Part of the 2007 Decemberists European Tour Poster Series. Limited Edition Silk Screen Print Signed and Numbered by Guy Burwell.